For over 30 years Water Dynamics has been Irrigating Australia. We p rovide irrigation and water management solutions to homes and gardens, dairy farms, paddocks, broadacre crops, horticulture crops and football fields across Australia. As the world’s driest inhabited continent, irrigation in Australia is vital for the sustainability of our water and food supply, our health, and the long-term sustainability of our export market. 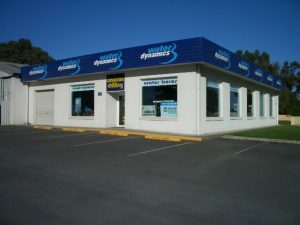 With stores located across Australia, we have a thorough understanding of the challenges across Australia. We provide local knowledge tailored to local industries, while also having the support and buying power of a national business. 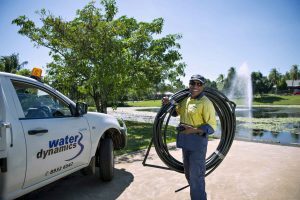 Whether you source water from a river or lake, mains water or bore water we provide the latest irrigation equipment, technical expertise and latest water efficiency technologies from around the world. 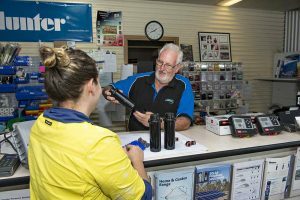 Our irrigation expertise is supported by our long standing partnerships with well-known industry brands including T-L Irrigation, Netafim, Grundfos, Toro, Hunter, Nelson, Philmac, Irtec, Onga, Davey and more. We ensure you receive access to smart irrigation technology at affordable prices. We are proud to have a strong partnership with T-L, the world’s only hydraulically driven centre pivot and linear irrigators. 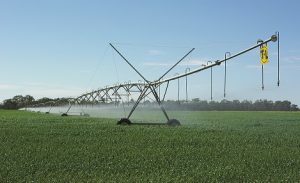 Since the 1980s Water Dynamics has sold and installed over 1,000 T-L centre pivots across Australia. Contact us on 1800 571 812 for further information on how we can help with your irrigation needs.